People packed Lamoureux Park in Cornwall to check out Shakespeare in the Park! Looking back, I had no idea what Shakespeare was talking about when I learned about him in school. “Wherefore art thou, Romeo” was just something I figured out so I could pass English class. I think attaching a grade to his literature took some of the magic out of it. 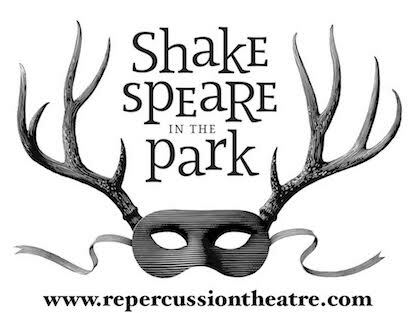 But then last night, something changed when I watched Romeo & Juliet: Love is Love by the Repercussion Theatre in Lamoureux Park. All of a sudden, it hit me; Shakespeare really was an amazing playwright, and his work stands the test of time. His plays really are fun to watch, if well-performed like they were last night. Mercutio: The pox of such antic, lisping, affecting fantasmines, these new tuners of accents! “By Jesu, a very good blade! A very tall man! A very good w***e!” Why, is not this a lamentable thing, grandsire, that we should be thus afflicted with these strange flies, these fashion-mongers, these “pardon me’s,” who stand so much on the new form, that they cannot sit at ease on the old bench? Oh, their bones, their bones! Translation: I’m really tired of these pretty boys, with their weird manners and accents. Why do we have to put up with them? Mercutio: Signior Romeo, bonjour! There’s a French salutation to your French slop. You gave us the counterfeit fairly last night. That’s as much as to say, such a case as yours constrains a man to bow in the hams. Romeo: I stretch it out for that word “broad,” which added to the goose, proves thee far and wide a broad goose. Translation: You’re a fat goose. Mercutio: Good Peter, to hide her face; for her fan’s the fairer face. Translation: She’s ugly… so give her that fan because I’d rather look at that. Stand up, stand up, Stand, and you be a man. For Juliet’s sake, for her sake, rise and stand. Translation: Stop whining, and MAN UP if you want to get Juliet back. I would also like to say that Shakespeare in the Park was awesome. Free theatre close to home… How could you go wrong? The troupe won’t be back in Cornwall until next year, but I would definitely recommend checking them out when they do come back!